What does your website need most? 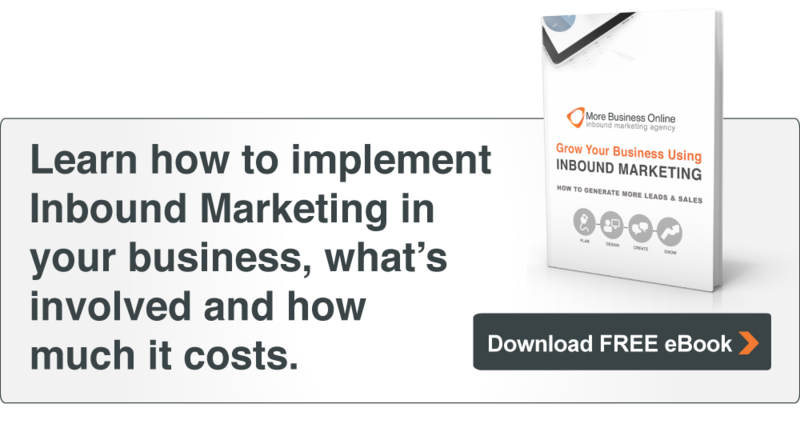 Inbound marketing has taken over as the proven and predictable way to market your business. As old outbound marketing methods like buying advertising, buying email lists then hoping for leads fade away, inbound marketing shines through as the new way to market your business. Inbound marketing taps right into the way people buy today. More than 80% of people now start researching a purchase online, and most of these begin their research using a search engine like Google. 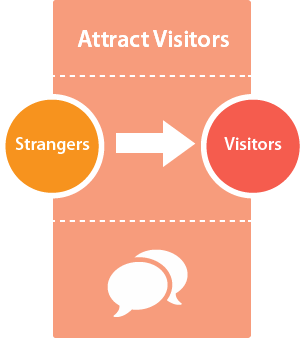 Inbound marketing is a process, a process which ensures you attract visitors to your website, convert them into leads and guide them through their buying process so you can close them as a customer. Inbound marketing ensures that people find you when they need your products and services rather than bombarding them with annoying sales messages when they don’t want or need you. Attracting the right visitors to your website happens when you’re found for the search terms your ideal customers are searching on. This means you have to understand who your ideal customers are, what their goals, challenges, pain points and common objections to your products and services are. To understand your customers you need to define buyer personas for each of them. All the content you publish on your website is developed around your buyer personas. You attract more and more visitors to your website as you write more and more content for your buyer personas and the search keywords they are using. Think of your content as permanent assets with each new piece building on the overall search effectiveness of your website. Writing content to the keywords your buyer personas are searching on performs the role of Search Engine Optimisation (SEO) on your website automatically as you publish your content. Blogging - A blog is the single best way to attract new visitors to your website. To get the right people to your website, you must create content which helps them with the problems they have and answers their questions. Answering their questions moves them through their buying process bringing them closer to buying from you. Social Media - Share your great blog content on social media and engage with your followers. Use social media to spread the word about your content and encourage them to click through to the great content on your website. Website Pages - Your website pages must be optimised for your ideal customers. Not only do you need to speak their language, you need to show how you can solve their problems. When you speak their language, you get found for the things they’re searching for and the SEO is done for you. It feels great seeing more and more visitors coming to your website. Until they identify themselves, you can’t help them with their problems and move them through their buying process, moving them closer and closer to buying from you. To get people to offer up their contact details, you need to offer them something they can’t resist, something they need. Your offer could be in the form of an eBook, a whitepaper or tip sheet -- whatever is most valuable to that person right at the time they're on your website. Understanding your customers is the key to creating just the right offers. Develop personas for each of your customer types and develop content for each of these personas for each step of their buying process. 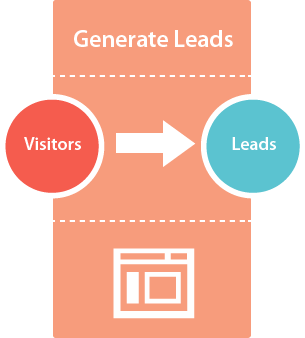 A lead is generated when a visitor “converts”, when they complete a form on one of your landing pages. Calls to Action are used in your blog and website content to encourage your visitors to take action. A call to action is a button designed to draw your visitors attention and get them to click on it. The call to action button takes your visitor to a landing page with content designed to get them to complete the form in return for your offer. You’re making great progress, your content is attracting more visitors than ever before, and you are converting many of those visitors into leads. 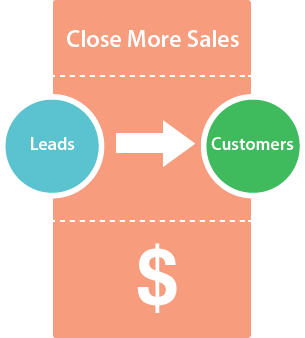 Now you need to close those leads as customers. Your buyer personas will help you understand what your customers need at each stage in their buying process. When your offers are aligned with your customers buying process, you know they’ll need your next offer once they’ve been able to digest the one they just downloaded. Use automated emails to deliver relevant and useful information which builds trust and guides them through their buying process. You want to guide them to download offers which take them closer to the sale. Offers which help them decide to hire you or buy your products. Make sure your Sales team are kept up to date with the progress of you leads by setting criteria for what makes a Sales Ready Lead for your business. That way your Marketing Automation system can score leads as they progress through their buying process and notify Sales when they’re ready to contact. Inbound marketing is a methodology which considers every step a buyer takes from when they first realise they have a problem through to becoming your customer. It recognises that the way people are buying has changed and plugs right into the way people buy today and into the future.